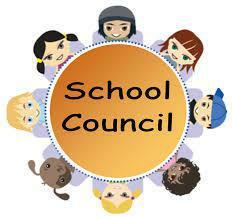 The School Council consists of every single child in the school because their opinions are very important. All the children have the chance to share their thoughts in class discussions, take votes and put ideas forward to the communications team who meet once every two weeks. What is the Communications Team? This is seven children – one from each year group except Reception who have a Year 6 representative who makes sure that their ideas get put forward in the right way. This team bring everyone's views from their class to the meetings. Mrs Knowles and Mr Perkin are the adult guiding hands behind the school council. They acts as a facilitator to the children and encourage them to gather ideas and opinions from all children to share within meetings. School Council meetings are run in a formal way with an agenda and minutes, noting the contributions of the children. The minutes are posted on the website and School Council notice board in the school entrance. How is our School Council Communication Team elected? After a formal process that sees willing candidates make powerful speeches about why they think they would make good school councillors and a secret ballot, the children in each year group elect their School Councillor. Every single child in school is automatically a member of the school council. When does the School Council Communication Team meet? The School Council Communication Team meets with Mrs Knowles and Mr Perkin at least once every two weeks to discuss issues that the children themselves raise through the School Council discussion meetings held within classes. How do we know our School Council Communication Team? Councillors can be spotted in and around school by the badges that they wear. A notice board in the school entrance displays photographs of all current School Councillors including minutes of the last meeting. What do School Councillors do? To make sure they know exactly what the children in our school think, the school councillors use discussion time and council tasks to gather information and work on canvassing the opinions of pupils. The council chose to stop having 2 school uniforms each year. Instead, 75% of children voted that they should wear the blue polo shirts all year round. The Communications Team are helping to prepare a flyer to advertise the Macmillan Coffee Morning and will help out at this event.